SearchExpress is affordable enterprise document imaging software that is so easy to install and use that you can rapidly deploy it in one department, or across your entire enterprise, without costly on-site assistance. SearchExpress provides document imaging, business process automation, workflow, records management, document capture, eForms and information security. This means you can access your digital and scanned documents wherever you are, including client sites and field offices. SearchExpress Document Imaging software lets you capture, index, route, search and share your scanned documents and other digital documents. SearchExpress Document Imaging is easily integrated with your existing business-critical applications so you can share data with your other applications and view your scanned documents and other digital documents from your other applications. You can search by typing in a word or phrase. Also, you can search by highlighting a search word or phrase in your CRM, ERP or other applications, including Oracle eBusiness, Lawson, PeopleSoft and SAP. SearchExpress is enterprise document imaging software that organizes your scanned documents and other digital documents, in compliance with legal regulations, in a secure document repository. For document imaging system search features, click here. 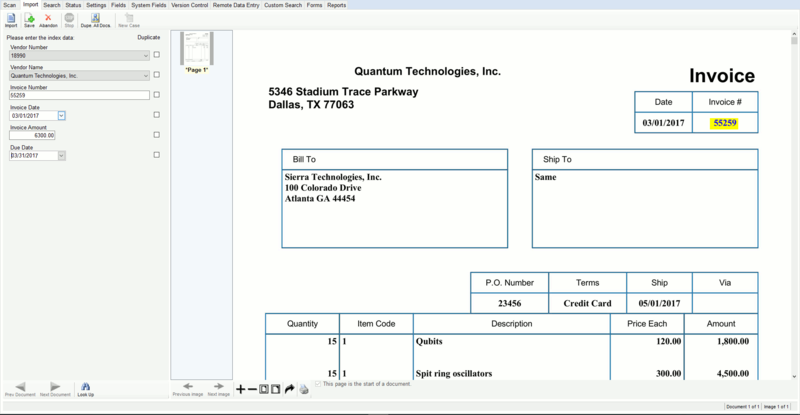 For document imaging and indexing features, click here.